‘i-am’ associates have been pleased to support INN London, a fantastic new initiative that is working to bring attention to some of the worlds most exciting emerging markets. Once a year, over the next 5 years, INN will focus on cities such as Turkey, Russia, India, China and Brazil and celebrate them in a 4-day event which will showcase leading art, architecture, film, fashion, food, drink, music, stories, commerce and other aspects of contemporary culture which make that city unique. Istanbul INN London was the first of these events and the first of its kind. 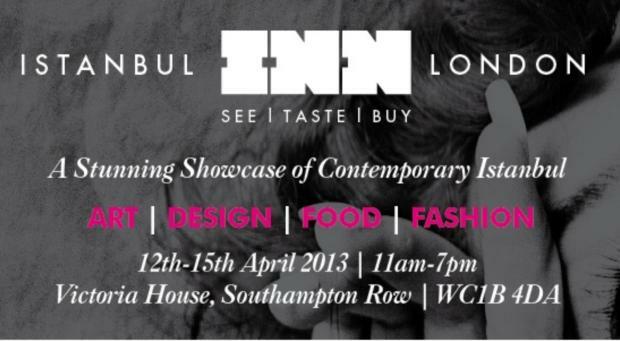 Istanbul INN London is a four-day showcase of Istanbul’s contemporary culture, art, architecture, literature, food, fashion, film and design and will offer visitors the chance to immerse themselves in the city’s culture, discover emerging creative talent and sample authentic food and drink. Taking place in the incredible Victoria House in central London’s Bloomsbury Square, the 22,000 sq ft venue was brimming with Istanbul galleries, design practices, fashion designers and Turkish brands, many of which were offering visitors the chance to buy products never before available in the UK. An authentic Turkish dining experience was also offered in the meyhane – traditional meze (Turkish tapas), as well as Turkish Raki for the bold! A series of talks offered visitors the chance to learn more about the brands involved in the event and Jon Blakeney one of our Directors here at ‘i-am’ associates was a speaker. At a breakfast event, Jon entertained the crowds with the story of how ‘i-am’ built a successful branding agency, right in the heart of Istanbul. ‘i-am’ have been working in Istanbul since 2005 and set up our studio there in 2008. Jon told the story of how ‘i-am’ Istanbul started as two men (the ‘i-am’ istanbul Directors!) operating out of their flat, and turned into a studio that employs 40 people and turns over 4 million euros a year. London and Istanbul are still seen very much as centres for design excellence and as a team, we have loved being involved in such a vibrant, exciting and interesting city. We can’t wait until the next INN London events – especially when they feature India, the home of ‘i-am’ mumbai. Like what you hear? Want us to help you create a success story of your very own? Get in touch! 29/07 - When is a bank not a bank?